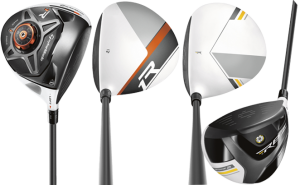 Knowing they had a tough act to follow, TaylorMade Golf has packed a lot of technology into the new R1 driver which replaces the R11/R11S and the RocketBallz Stage 2, the new version of last year’s RocketBallz driver. 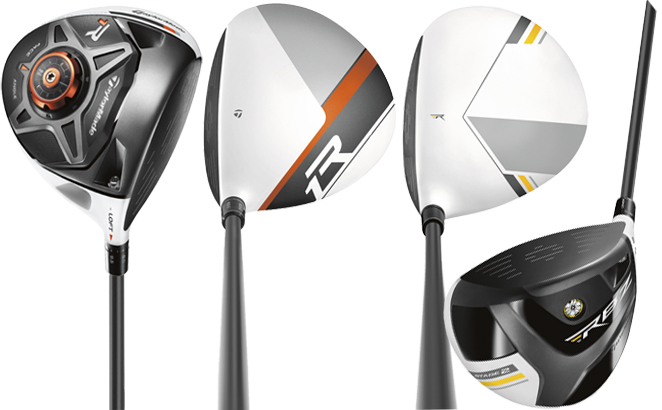 And just in case you’re wondering both the new drivers are white headed, now considered to be the signature TaylorMade look. TMaG says 80% of golfers play with a driver having the wrong loft – usually too little – so the R1 offers players 12 loft-sleeve settings and 7 face-angle positions, as well as two movable shot-shape weights. Loft and face angle may also be adjusted independently of each other and total adjustability hits 168 different combinations. The company believes what its research found concerning loft and backs that up by not putting a head stamp showing loft because the Loft-Sleeve Technology offers a 4° range of lofts, meaning the golfer can play anywhere from a 8° to 12° driver. The new RocketBallz Stage 2 driver also features Loft-Sleeve Technology and a slightly longer stock shaft (the 50-gram Fujikura RocketFuel) so when combined with a lightweight grip the total club weight is less than 300 grams. There was also a eye-pleasing redesign of the head shape and the clubface was enlarged to 4,100 square millimeters to promote more distance for better players – up to nine yards additional for better players.